So, on Thursday, September 24 at 1:00 pm ET (10:00 am PT) you're going to get a chance to see us talk! 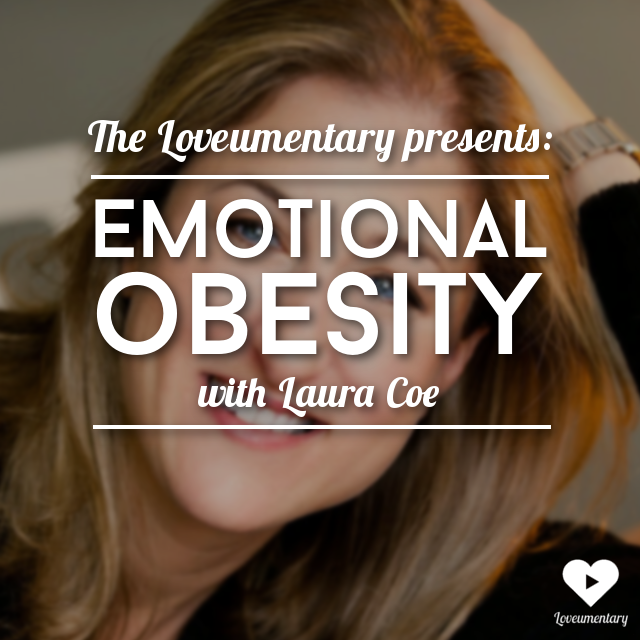 Laura coined the term "Emotional Obesity" to refer to the excess emotional weight that we carry around with us. That weight often keeps us from living the life we truly want to live. 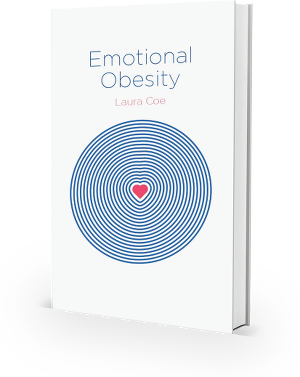 We invest SO much time, energy, and resources into our physical wellbeing and often put our emotional wellbeing on the back-burner... but our emotional wellbeing is what has the greatest impact on our relationships and often our quality of life. I wrote this post a few months ago and put it on Medium. I figured it was high time to share it here. Hope you enjoy it! I always knew I wanted to get married and had a family one day. As I dated in my early 20's, I thought it was only a matter of time before I would be proclaiming my wedding vows to the woman of my dreams in front of all the people I love most. When marriage didn’t come, and my relationships seemed to start and end more quickly than I’d like to admit, I started to think something was wrong with me. I felt broken and defective as I watched my friends all get hitched and start popping out babies. Only recently did I realize that it wasn’t me as a person that was the problem, it was the way I was dating. Throughout my 20’s I approached finding the love of my life like I was shopping for a new car. When you shop for a car you typically begin with a large pool of options, then eliminate the cars that are out of your price range, have too many miles, or are the wrong color, make, or model. As you narrow down the field, you take a few cars for test drives, then when you find the one that most closely meets all your specifications, you buy it. There’s only one problem… if you want to find amazing love, you cannot comparison shop! It simply doesn’t work. People who comparison shop for love want the most bang for their buck. They’re constantly checking Tinder, Match, and OKCupid for new, more attractive, more compatible matches with the hope of eventuality upgrading to a better model. Even when these people finally do choose a partner, they continue to have wandering eyes, and wonder if life would be better if they could find someone who was slightly more compatible, relatable, or beautiful. They’re never completely dedicated to or satisfied with the person they decide to be with. Love cannot grow or thrive with this mindset… which is a big reason why so many of these relationships are over nearly as quickly as they begin. So, if you can’t find love using a decision-making method, what are your alternatives? When you make a decision, you’re figuratively “cutting off” all other options until only one (the one that most closely fits your expectations) remains, just like the car shopping example above. Choosing, on the other hand, is a values-based process. Choosing doesn’t require having all possible information. Choosing doesn’t even require you to compare one thing against another. When making a choice, you take a look at what’s important to you, or what direction you’d like your life is going… or you listen to what your gut says, and then… you simply choose. When you choose to love someone rather than deciding to love them, they won’t feel the pressure to always be perfect for you. They won’t have to live in fear of not meeting your unspoken standards or expectations. They get the freedom to be their perfectly imperfect selves with the knowledge that they will continue to be worthy of your love. Choosing love creates the perfect ecosystem to grow love. When you choose to love someone, they have everything the need to flourish, thrive, be vulnerable, and connect with you in a deeply human way. The beauty of love is found in its simplicity. Put simply, love is waking up every day — and despite any other options, feelings, emotions, thoughts, fears, concerns, or worries — choosing to love your partner. There are no considerations that need to be made. There’s no comparing. There’s no bartering or haggling. Love only works when you choose someone. The moment you choose all other options cease to matter. Simply choose each other every single day.